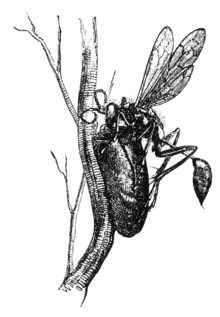 Gaspard Bauhin or Caspar Bauhin; Latinised Casparus Bauhinus (17 January 1560 in Basel – 5 December 1624 in Basel), was a Swiss botanist whose Phytopinax (1596) described thousands of plants and classified them in a manner that draws comparisons to the later binomial nomenclature of Linnaeus. He was a disciple of the famous Italian physician Girolamo Mercuriale and he also worked on human anatomical nomenclature. Linnaeus honored the Bauhin brothers Gaspard and Jean in the genus name Bauhinia. 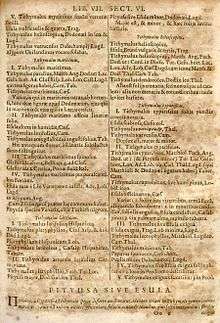 Caspar Bauhin (1623), Pinax Theatri Botanici, page 291. On this page, a number of Tithymalus species (now Euphorbia) is listed, described and provided with synonyms and references. Bauhin already used binomial names but did not consistently give all species throughout the work binomials. Jean and Gaspard were the sons of Jean Bauhin (1511–1582), a French physician who had to leave his native country on becoming a convert to Protestantism. Gaspard was born at Basel and studied medicine at Padua, Montpellier, and in Germany. Returning to Basel in 1580, he was admitted to the degree of doctor, and gave private lectures in botany and anatomy. 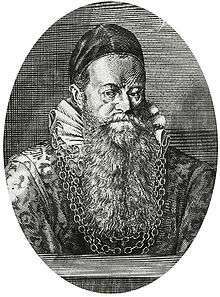 In 1582 he was appointed to the Greek professorship in the University of Basel, and in 1588 to the chair of anatomy and botany. He was later made city physician, professor of the practice of medicine, rector of the university, and dean of his faculty. The Pinax theatri botanici (English, Illustrated exposition of plants) is a landmark of botanical history, describing some 6,000 species and classifying them. The classification system was not particularly innovative, using traditional groups such as "trees", "shrubs", and "herbs", and using other characteristics such as utilization, for instance grouping spices into the Aromata. He did correctly group grasses, legumes, and several others. His most important contribution is in the description of genera and species. He introduced many names of genera that were later adopted by Linnaeus, and remain in use. For species he carefully pruned the descriptions down to as few words as possible; in many cases a single word sufficed as description, thus giving the appearance of a two-part name. However, the single-word description was still a description intended to be diagnostic, not an arbitrarily-chosen name (in the Linnaean system, many species names honor individuals, for instance). In addition to Pinax Theatri Botanici, Gaspard planned another work, a Theatrum Botanicum, meant to be comprised in twelve parts folio, of which he finished three; only one, however, was published (1658), long after his death. He also gave a copious catalogue of the plants growing in the environs of Basel, its flora, and edited the works of Pietro Andrea Mattioli (1500–1577) with considerable additions. His principal work on anatomy was Theatrum Anatomicum infinitis locis auctum (1592). This article incorporates text from a publication now in the public domain: Chisholm, Hugh, ed. (1911). "Bauhin, Gaspard". Encyclopædia Britannica (11th ed.). Cambridge University Press. Online Galleries, History of Science Collections, University of Oklahoma Libraries High resolution images of works by and/or portraits of Gaspard Bauhin in .jpg and .tiff format. This article is issued from Wikipedia - version of the 4/30/2016. The text is available under the Creative Commons Attribution/Share Alike but additional terms may apply for the media files.